Prime Minister Narendra Modi on couple of days back announced that women are free to retain their maiden names on their passports now after the marriage. Stating that he wanted women to be at the centre of the developmental schemes, Modi said his government is working in different ways to empower them through various schemes like Mudra and Ujjwala, among others. “From now on wards, women will not have to change their names in the passport after their marriage,” Modi told a gathering of the Indian Merchants Chambers’ ladies wing over a video conferencing. The government wants the woman of the house to be the priority in all of its development schemes, he added. According to the passport website, women had to apply for re-issue of Passport to change their names in it after marriage. With the latest announcement from Modi, women and recently married couples will be relieved from this strenuous process. 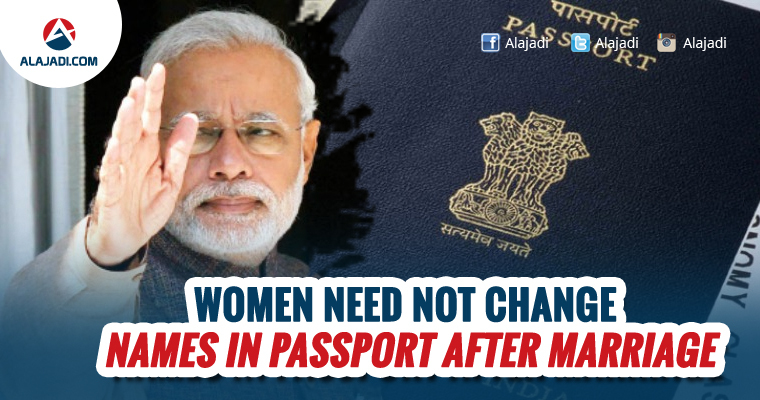 The Prime Minister also said that “women don’t have to submit marriage/divorce certificate for passports. Citing various women-oriented schemes launched by his government, the Prime Minister said the maternity leave for the women has been extended now to 26 weeks from the present 12 weeks while another scheme provides for transfer of Rs 6,000 to women, who chose to deliver in hospitals. 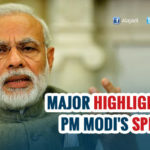 On the free cooking gas distribution project launched last year under the Ujjwala scheme, Modi said, The government has set a target of covering as many as 5 crore people from BPL families over the next two years. Within a year of its launch, the scheme has already benefited 2 crore women. 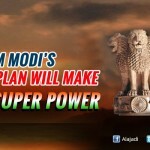 PM Modi’s 1 RUPEE Plan ! !